Entities that came to talk: Rah From Antares. Interlocutor: Until then, Tar, and again thank you ... Who is going to communicate now? Rah: My name is Rah. I traveled astrally twice to this planet. I come from a system where the atmosphere is green, where harmony prevails among all beings, and where we live to serve others. Our houses are built with bark, what you call wood and shrunken paper. Our world is very similar in their habitat to your country called Japan. Interlocutor: Do you come from somewhere in our solar system? Rah: No, I come from Antares 4. The soul or thetan of this medium in which I am incorporated right now, had visited my planet in astral travel and therefore is not a coincidence that I am here now. There were major changes in the place where I come from. The gravity is 0.8 terrestrial and our civilization is completely different from yours. We stand out in philosophy and our analytical thinking has prevailed over reactive impulse. There have been no industrial changes. Virtually we are living from seed and food from the sea. Interlocutor: In Technology, are you behind time? Rah: Technologically, it could be said that we are behind many centuries with respect to the Earth. Rah: Yes. For example, we do not have equipment to handle the sound waves. Directly we do not handle with what you call electricity. Rah: Morally, we are looking to be at a very advanced level. We believe that there is no a goal, because we always try to correct our mistakes. We have worldwide mediumistic contacts and now we can communicate regularly with Light entities from the 4th and 5th level. Interlocutor: Have the inhabitants of Antares 4 reactive mind? Rah: The reactive mind, although it is a universal mechanism, we have it at a very low level, the lowest. The reactive mind is inherent to the spirit, is the seed of ego and the way that the various “I” develop. Just from the 4th level onwards, when the personality and all his “I” or self have been integrated, resulting a union with the “Higher Self” no longer more engrams grow. The reactive mind leads to the analytical mind, where the ego has no roots to grow. Interlocutor: Then, are we all affected by the reactive mind in the levels that we call dense? Rah: You have to understand that not only there is reactive mind in the physical plane, but also in the spiritual planes. Interlocutor: Are the spirits of Error the most affected by the reactive mind? Rah: That's right, in the spiritual planes 2 and 3, the reactive mind generates more ego because these entities have many accumulated resentments. Even there are spirits that might have a stronger ego that incarnated beings, because they believe that in their immaterial state can do everything. There are spirits of plane 2 entering and leaving plane 1 - the physical world - to tempt the incarnated human being and, since they are not being perceived, they believe to be omnipotent. They do not realize that they have the 3rd, 4th and 5th plane, which they cannot access. Some spirits of the 2nd plane feel a sense of superiority with regard to the physical world, because their ego creates a tremendous role. There are also entities of the 3rd plane that are invaded by arrogance, and they try to guide human being by a path they believe as correct, with catastrophic results for this last one. That is why I say that, as a precaution, not always believe that a message from a spiritual entity can guide you. The spirits of Error almost always communicate to stun you or to back you down from the evolutionary path. And what I see at this moment, as my predecessor Tar said, is that the spirits of the 2nd and 3rd plane might confuse you. They can give you messages that transgress the Light. Interlocutor: And… are they not evidence for us that we must learn to discern? Rah: Sometimes no, and for one simple reason: yes… messages are wrong, but said in a subtle form and perhaps your understanding is so limited that you take them as truth... And they can use different mediums from diverse spiritualist centers so that they promote chaos. Remember that ignorance fed by ego creates pedantry. Interlocutor: This vessel, Professor Jorge Olguin, told us that once he went to a well-known spiritist center and a young director told the followers that "he was anxious to pass away to enjoy the spiritual world." Then Olguin told us that those words were harmful and might even lead to suicide. He added that in this physical world much has to be done. Rah: What my brother of Light said is very correct. The case of that director is a right example of ignorance, because many incarnated beings see the physical world as a plane where he comes “to repair the errors”, when in fact he is incarnated for “completing the lessons that were not finished learning in last lives”, and those tests are given in the physical plane of matter. Therefore, to encourage "the good that would be to leave the physical plane without completing the life cycle" is very serious, since many do not have the proper judgment and can literally interpret it as a wishful thinking. Interlocutor: Can God prevent such injustice? Rah: Remember that the Maker gives free will. The creation is made so that nobody renders accounts to the Absolute of their actions. One could raise or low the spiritual level according to his own behavior. So, every spirit is “his own” judge and jury. The sentence or salvation depends on the individual’s attitude. Interlocutor: But often the negative attitude of an individual hurts others who are not guilty. Rah: True. We are always exposed to the cruelty of others and that is a consequence of free will that the Supreme Maker has given for Love. Interlocutor: But... Is that not an injustice? Rah: As well as there are lessons to learn there are also compensations. Only the Supreme knows how everything fits. Interlocutor: I want to clear a doubt that is… who are called "Spirits of Error"? Rah: The name of Spirits of Error is given to those who inhabit the 2nd and 3rd plane of vibration. They have a grudge so big, spawned by their own ego, that seek masquerading as Masters of Light and, through telepathic contacts, arrive to guide the wrong way intentionally. It’s not so easy to discern that. Rah: The spirits of Error are not necessarily easy to detect. Sometimes there are entities that,without hurting the sensibilities of people can come to mislead giving wrong messages. Very many times this has happened, delaying the evolutionary learning. If we add to this that there is an enormous disinterest of the incarnated being for the spiritual world, the situation is worrying. Interlocutor: It’s a shame that there are so few medium to transmit messages. Rah: It’s not so simple to telepathically channel from the spiritual world. It should be kept in mind that if the vessel has psychological disorders, it would be fertile ground for the spirits of Error to end up being transformed. The medium has to have a balanced mind. Interlocutor: Here we have a saying: "Eyes in the sky and feet on the ground." Rah: Most of us have the gift of telepathy. From centuries we practice meditation and then we were exercising in telepathic channeling. From there, one can perceive the ideas in the mind of another, provided that he is ready. Interlocutor: Are you not permitted to read the mind of another person if he does not want to? Rah: It is not forbidden, but the person simply “closes himself" instinctively and his ideas are out of reach. The same is true in the spiritual world. Communication is achieved when both wish it. If one of the two spirits does not want to talk, the other cannot receive anything. This is also part of free will. Interlocutor: Can you tell us something more about your planet? Rah: Before I told you that we wanted to grow spiritually, and this is achieved by stop thinking about yourself as a protagonist. One who is not a focus of attention is not susceptible; it’s difficult to offend him and does not respond to aggression with more aggression. Consider that all spirits who are susceptible souls have not yet overcome their ego. On our planet, Antares 4, we avoid the limelight. We think that the important thing is the other one and we carry these ideas into practice. For example, when families have ruined their crops, other families give them shelter. The secret of all this is to be able to overcome selfishness and transform it into altruism, to achieve the great mission which is the Service. First thing is to help another. Unfortunately, most of the beings I contact with have material needs and they look for an excuse for failing to provide service. They forget that giving to others is first. Interlocutor: Here, we say… "Charity well understood, begins at home." Rah: Yes. This vessel also said: "If you are down you cannot lift others. But in this issue we should also seek a balance. Many look for the slightest excuse for failing to render aid. Interlocutor: In this physical plane we all have many obligations that sometimes do not allow us to do other things. Rah: I go back to two thousand years ago on your planet. When Master Jesus became flesh, he clearly said: "Leave everything and come to me." I must say, however, that at this moment not everyone is prepared to do that because, as you said, there are different obligations. If someone were to leave his family that needs him, he would certainly be a selfish one. As you commonly say, the cure would be worse than the disease. Then, the mission into the Light does not mean to leave all loved ones, but having a communion with them and encourage this Path of Light. Because if some dear being or someone of your surroundings is delayed because he had restlessness and you misestimated him, you are going to be responsible for that delay, in the same way that long ago man was responsible for the bread and the sustenance of his family. Today, those who seek the path of Light are responsible for their surroundings. Unless those people who are close to you do not wish to be helped. That ends your task, because the good cannot be imposed. Interlocutor: Why is it so difficult to form a spiritual group? Rah: There are many negative forces, transmitted by the spirits of Error, who directly disturb the way or cut it. They take advantage of free will that the Supreme Maker gives all creatures. Interlocutor: But ... Why do they want to cut us the way? Rah: They do not only do it with you. They look for obstructing anyone who is a tool of good and likely to help removing engrams in the globe. I am going to repeat something that I consider very important. Human beings must try to lead the path of light to anyone who is in the search. Our planet, Antares 4, is a big family and that is why I give so much importance to this. So, the way of thinking is that fellowman is the first concern. You must give the right importance to your fellowman. You, the vast majority, are not yet evolved to that level. You are given much more importance to technology and set aside the philosophical aspect of life. Nor do I see many spiritual communities. And there is another contrast: you form small families, some of three members, others of six members. In our community, there are families of more than a hundred members. 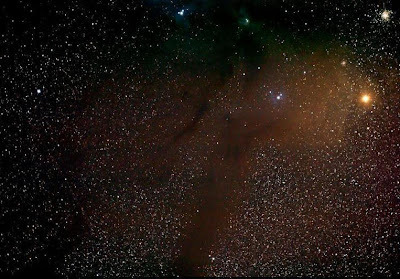 Interlocutor: Are there any beings from Antares here on Earth? Rah: We are not of the same physical constitution. We are beings a little smaller. We would weigh no more than 40 kilograms on Earth. But we have the same genetic constitution. Yes, we have come as visitors, because of our gravity is 0.8 Earth, we were able to adapt. Interlocutor: And how come if you don’t have spaceships? Rah: We have been brought by ships of other systems. We trade with other races where we derive all benefits. Rah: In many planets the rocky surface prevails and there are few areas where to seed. Their inhabitants provide us technology in exchange for crops. Thanks to the Absolute we have a huge barn. This entry was posted at Saturday, May 30, 2009 and is filed under Heaven Responds . You can follow any responses to this entry through the .